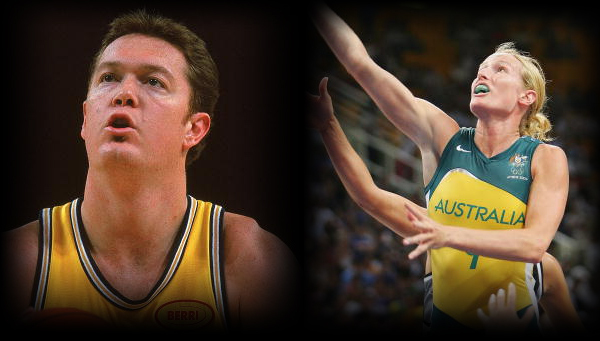 Australian Basketball legends Luc Longley and Trish Fallon will have annual awards named after them for the Under 18’s and Under 16’s National Championships from this year. 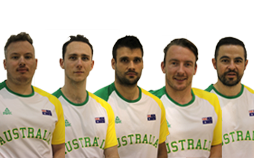 Longley and Fallon will also join Australian Pearls star Kim Larkin OAM, whose name will be embedded on the Fair Play Award at the Ivor Burge Championships for players with an intellectual disability from 2014. 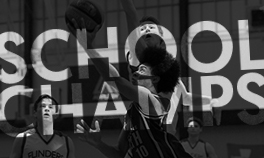 Fair Play Awards were first presented in 2004 at the Under 14’s National Championships to recognise the teams that displayed outstanding sportsmanship – and were named after Australian Olympians Andrew Gaze and Jenny Cheesman. 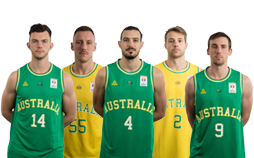 Basketball Australia Chief Executive Officer Kristina Keneally said Basketball Australia was proud to honour Longley, Fallon and Larkin, acknowledging the lasting contribution each player has made to the game. 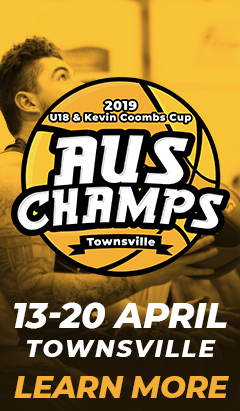 “Luc, Trish and Kim are outstanding basketball ambassadors and extremely fitting role models for our younger players competing in these championships,” Ms Keneally said. 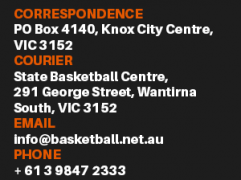 Longley – a household name across the globe – was the first Australian to play in the NBA, winning 3 titles with the Chicago Bulls alongside Michael Jordan, Scottie Pippen, Toni Kukoc and Dennis Rodman. Inducted into the Sport Australia Hall of Fame in 2009, Longley said he was honoured to have this award named after him. “Personally it’s wonderful. I think you have ideas in your own mind about what people think of you or how they perceive you and to have that recognised and inscribed into a trophy is a first for me,” Longley said. 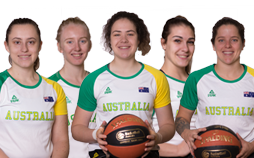 Fallon, an active member in community basketball, said she was flattered to be asked to lend her name to such an important award recognising not just athleticism but the qualities that make an athlete a team player. “It’s a fantastic initiative and extremely important because at junior levels it’s not all about focussing on winning but on playing fair and working hard,” Fallon said. Larkin, who currently plays in an open age domestic league and continues to be actively involved coaching members of the Australian Pearls squad, was delighted that fair play was being recognised and rewarded. 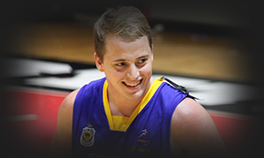 “I am very happy and proud to have a Basketball Australia Award named in my honour,” Larkin said. 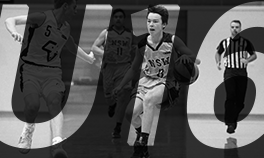 The 2013 Under 18 Championships will be held from 20-27 April in Brisbane, followed by the U16 Championships from 6-13 July in Wayville, South Australia. 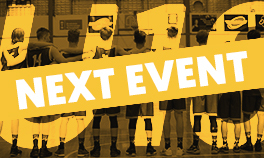 The 2014 Under 20 & Ivor Burge Championships will be held in Western Australia. 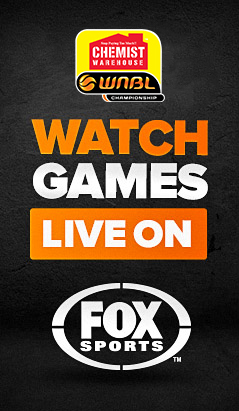 Luc Longley was inducted into the Australian Basketball Hall of Fame in 2006, followed by the Sport Australia Hall of Fame in 2009. 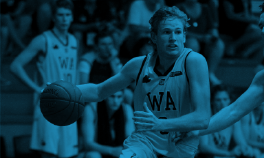 He played for Australia as a junior in 1987 and was on the first WA team to win an U17 Australian Junior Championship. 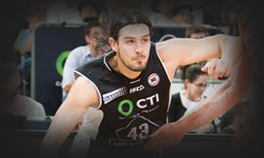 Longley attended the AIS and then went to college in the USA, from where he was the first Australian drafted into the NBA. He played on the Chicago Bulls team, winning 3 NBA Championships in 1996, 1997 and 1998. Longley represented Australia at the 1988 Olympics as a 17 year old; and then again at the 1992 & 2000 Olympics and two World Championships. 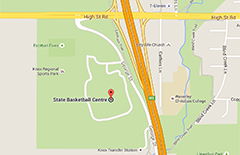 Trish Fallon is a member of the Australian Basketball Hall of Fame, inducted in 2006. 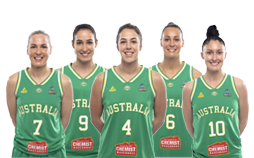 Fallon played 224 games for Australia, captaining the Opals 34 times. She competed in 3 Olympic Games, winning two silver and one bronze medal; and in two World Championships, winning a bronze medal in 2002. Trish was drafted to the WNBA, playing for the Phoenix Mercury, and also played in Europe on an off between 1994 and 2004, including as part of the 2003 Ros Casares Valencia team that won the Spanish Cup and Super Cup double. 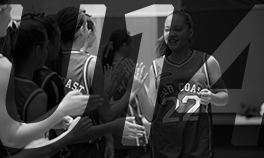 Fallon was a scholarship holder at the AIS and competed in Australian U16, U18 and U20 National Championships. 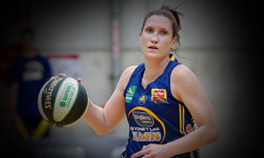 A two-time MVP in the WNBL, Fallon played 251 games for the Sydney Flames. Trish continues to be heavily involved in the sport in her role as Community Operations Manager with the Sydney Uni Flames. Kim was a member of the Australian Pearls 1993 through to 2009, competing in 5 World Championships, 2 Global Games, 1 World Cup, 1 Asia & South Pacific Championship and 1 European Championship. She won a gold medal, 5 silver medals and 3 bronze medals. Larkin was the captain for most of this period with the Pearls. 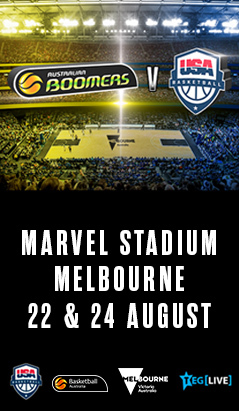 Larkin has also represented Basketball Victoria Metro team in the Ivor Burge Championship since it commenced and during this time has won 12 Gold Medals. 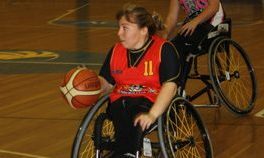 N 2012, Larkin was awarded a Medal of The Order Of Australia (OAM) for her service to sport, and to people with a disability, through roles with the Australian Pearls.